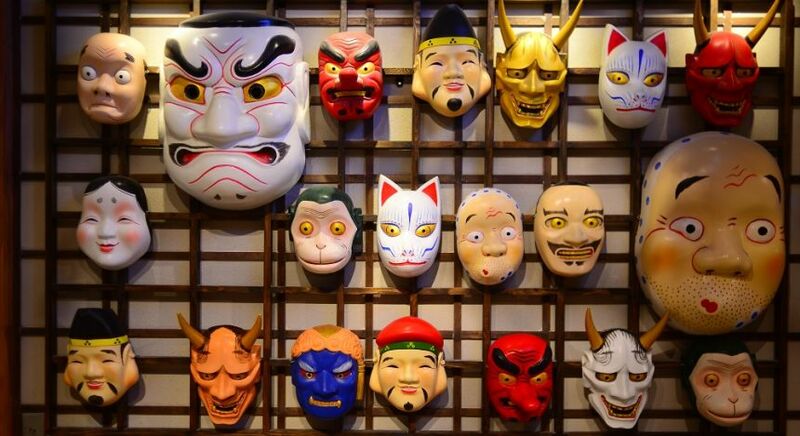 If you’re looking for things to do in Osaka during your Japan vacation, you’re in luck. 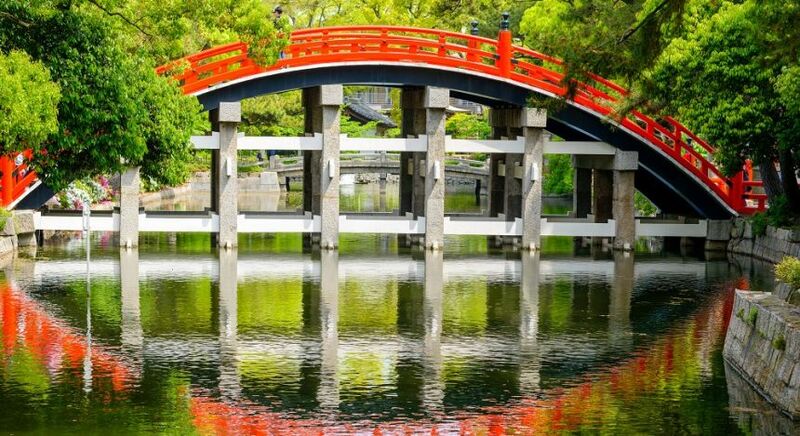 Osaka is a vibrant, historic city where you can enjoy the very best that Japan has to offer. 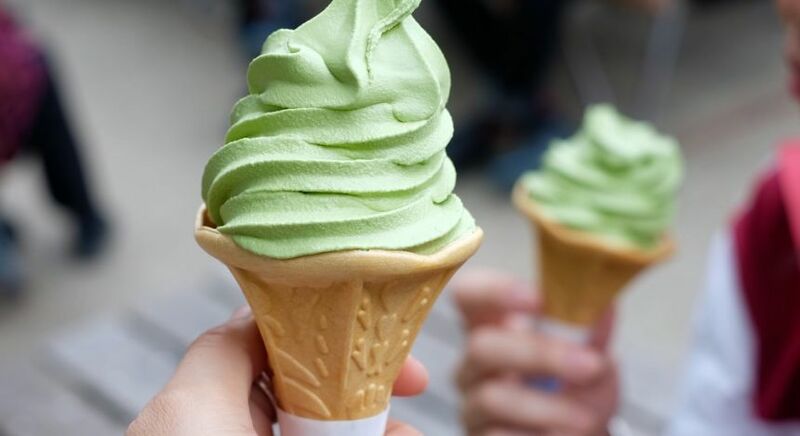 You can enjoy great food at one of the many Osaka restaurants, learn about the city’s long history in Osaka castle, or spend a day at one of the various Osaka attractions. 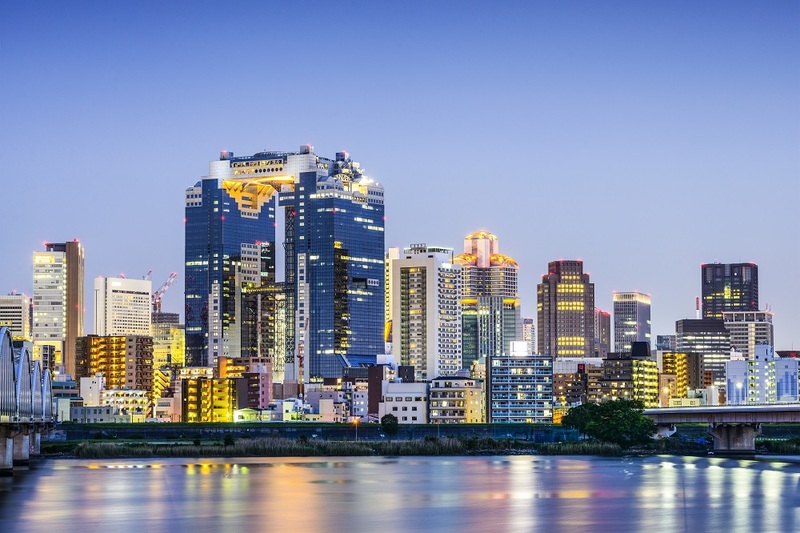 Osaka was once the capital of Japan, and remains the second largest city in the country. 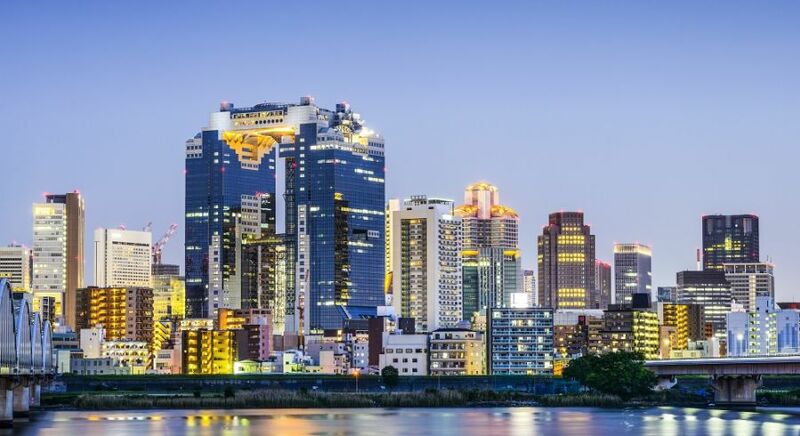 It is a city where the noble history of Japan meets its shining future.Though fewer travelers tend to visit than the larger city Tokyo, there are nonetheless so many things to do in Osaka itself that it can be difficult to know where to start. 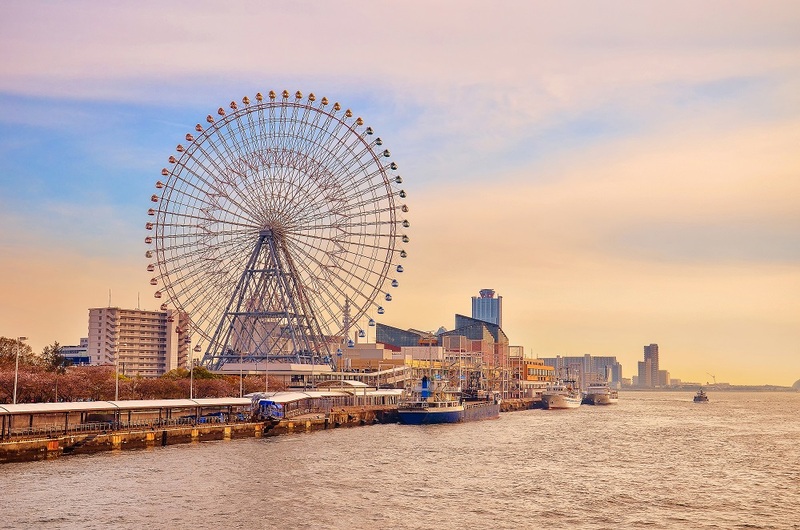 To help you, we have compiled a list of the top 10 activities in Osaka and destinations to visit when exploring this great city. 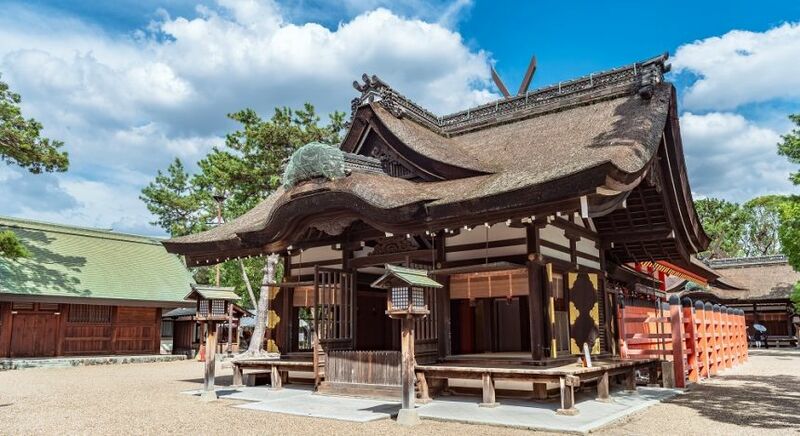 If you wish to get a sense of the real Japan, a visit to a Shinto temple is a must. Shintoism is as old as Japan itself. The religion is indigenous to the country, and remains a powerful cultural force, with aspects of the religion permeating many aspects of Japanese life. 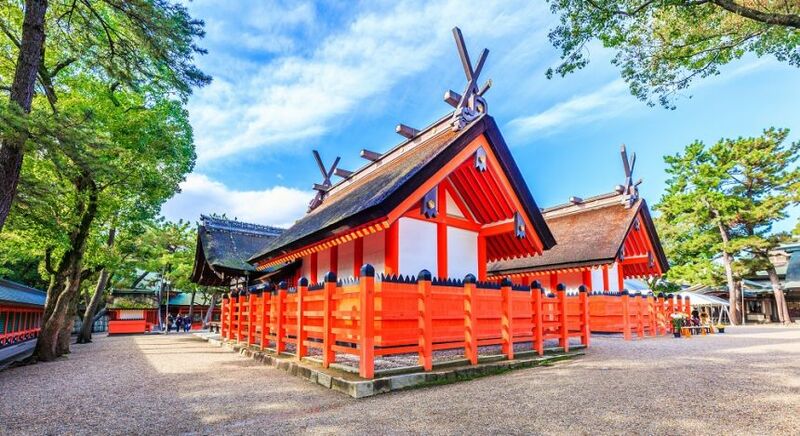 Therefore, if you wish to get a sense of the real Japan, a visit to a Shinto temple is a must. The oldest of them is the gorgeous red Shinto Sumiyoshi-taisha temple. The central shrine has been an important destination for pilgrimage for many centuries which makes the temple one of the holiest destinations in the country. The castle includes an observation deck where you can enjoy sensational views of the city. 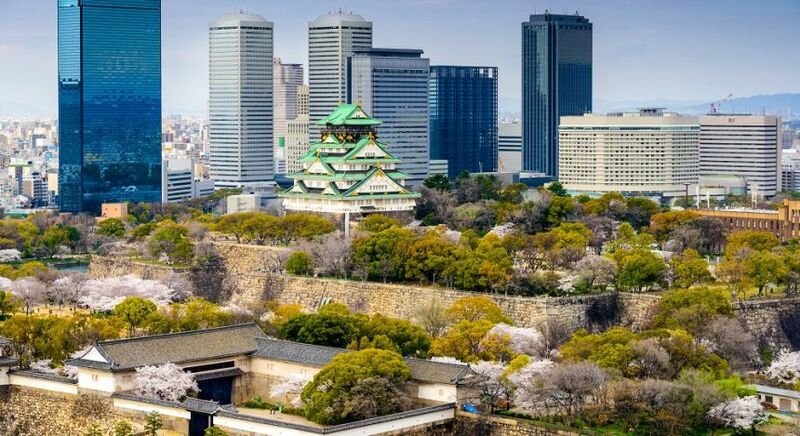 Osaka castle isn’t just one of Japan’s most famous and iconic landmarks, it is also one of the most historically important buildings in the country. It was a central location during the 15th century unification of Japan under Hideyoshi Toyotomi. Osaka castle rests in the center of the modern city. 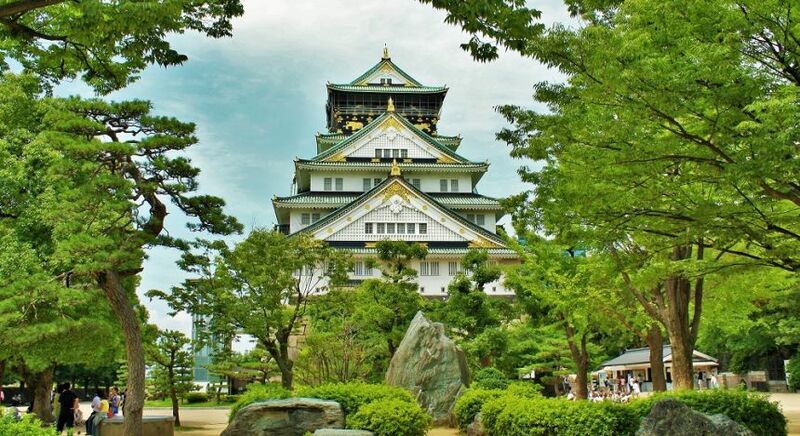 The castle is located in a lush green park filled with moats, gates, towers and fortifications, with many of these structures designated historic landmarks by the Japanese government. There are few places in Japan where you can get such a sense of the country’s dramatic history. Due to some fairly recent repair work and modifications, the interior is entirely modern, featuring a museum, stores, and even a cinema. The castle includes an observation deck where you can enjoy sensational views of the city. 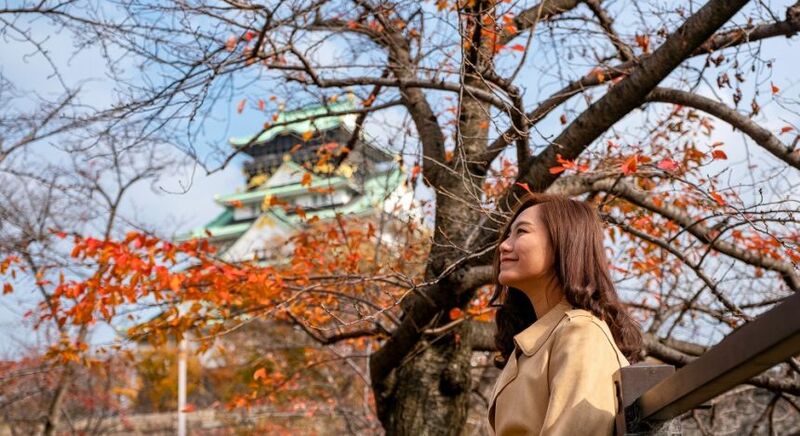 So, whether you want to explore the city’s rich history, or just enjoy beautiful scenery, Osaka Castle is definitely worth your time. 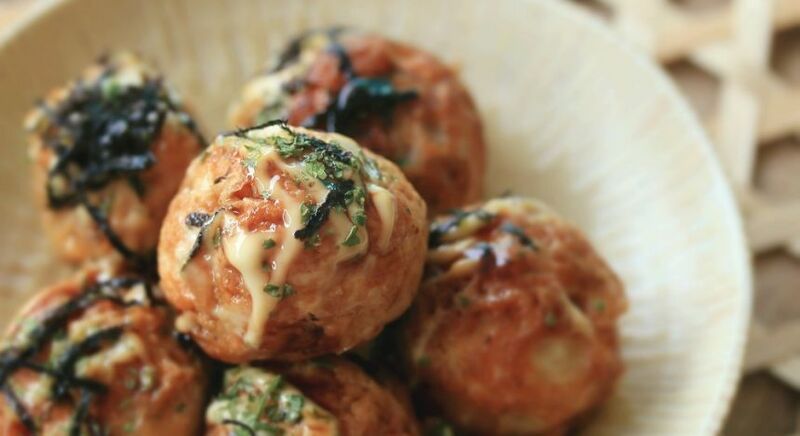 Osaka is considered by many to be the food capital of Japan. Osaka isn’t just a city of temples and historic monuments. When you visit, you’ll find it has all the amenities, restaurants, clubs and venues you would expect of a major city. Minimai district, near Osaka’s Namba station, is popular with visitors worldwide thanks to its great range of bars and clubs. 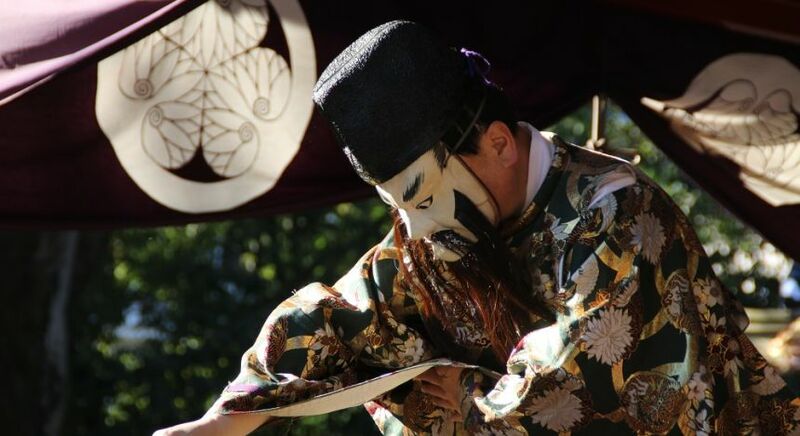 However, if you wish to enjoy something more subdued, you can visit one of Osaka’s many theaters such as the Osaka Shochikuza, which frequently hosts traditional Kabuki plays. Such plays are known for their incredibly stylized drama, makeup, and singing, a form of theater not too dissimilar to European opera. Kabuki is very popular in Japan and has been for centuries. If you want to eat out, then you’re in luck. 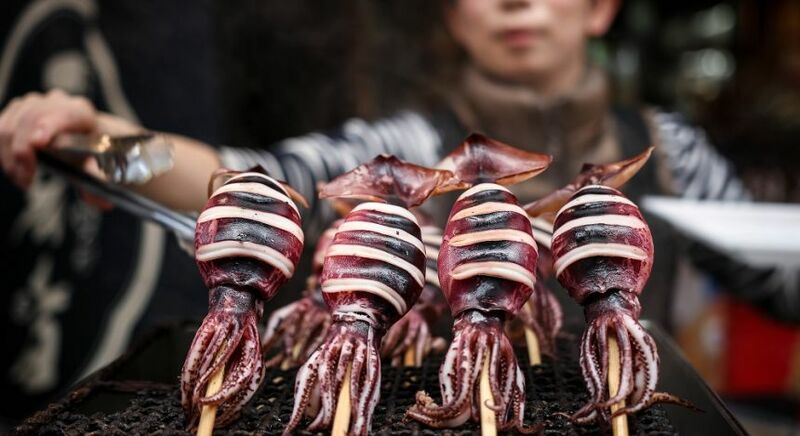 Osaka is considered by many to be the food capital of Japan. 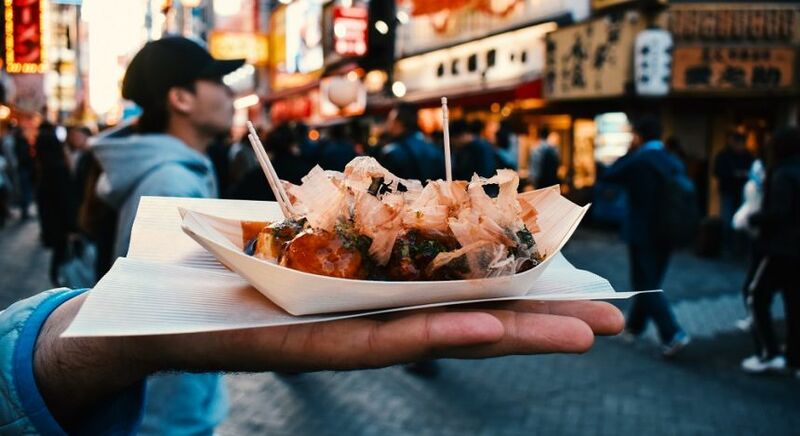 All over the city you’ll find restaurants preparing delicious meals, with dishes ranging from traditional Japanese cuisine, to pizza. If you choose to take the tour at night, there is even a dinner service aboard. Cruising by a major city on a ship or boat can be a fantastic addition to any vacation. You can do this in an interesting and wholly unique way, aboard a fully working recreation of the famed Santa Maria cruise ship in Osaka. 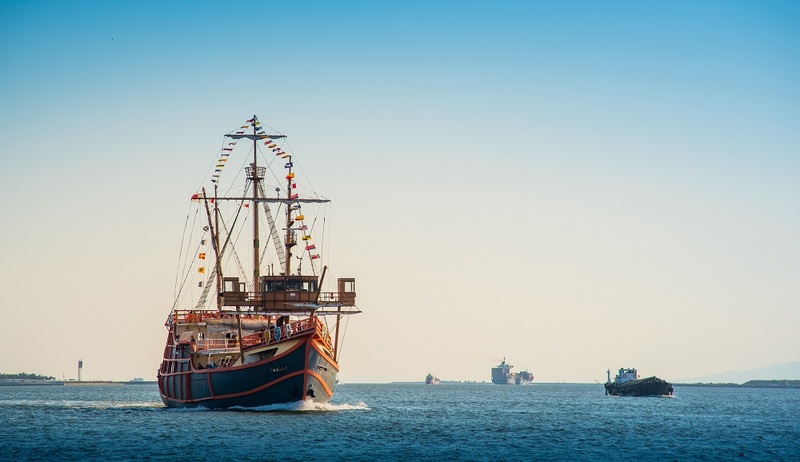 The ship itself is a beautiful recreation of the vessel on which Columbus traveled to the American continent. 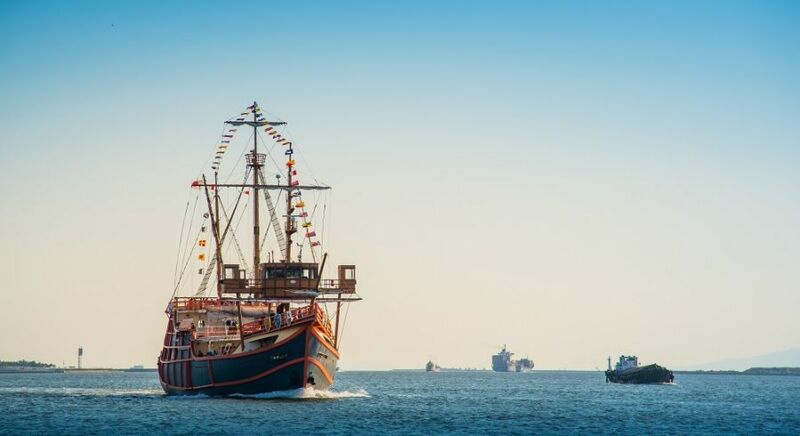 It would be worth visiting even if it couldn’t sail but aboard, you’ll be able to cruise down the entirety of Osaka bay. If you choose to take the tour at night, there is even a dinner service aboard so it can be a great alternative to an evening out. 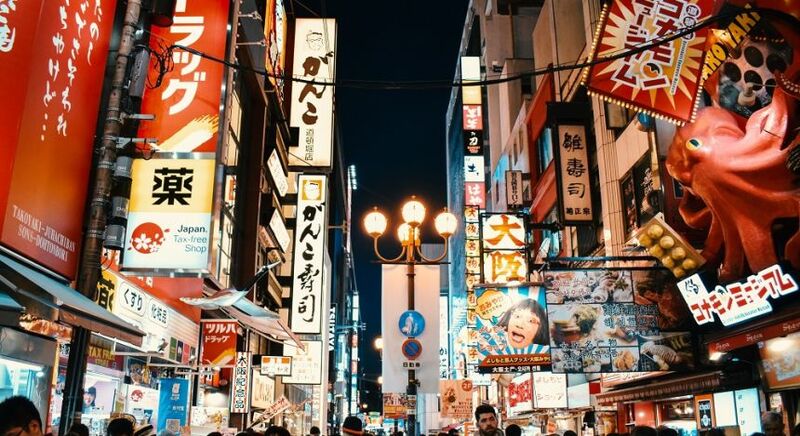 The Japanese word used to describe Dontonbori is “kuidaore”, which means “eat till you drop”. 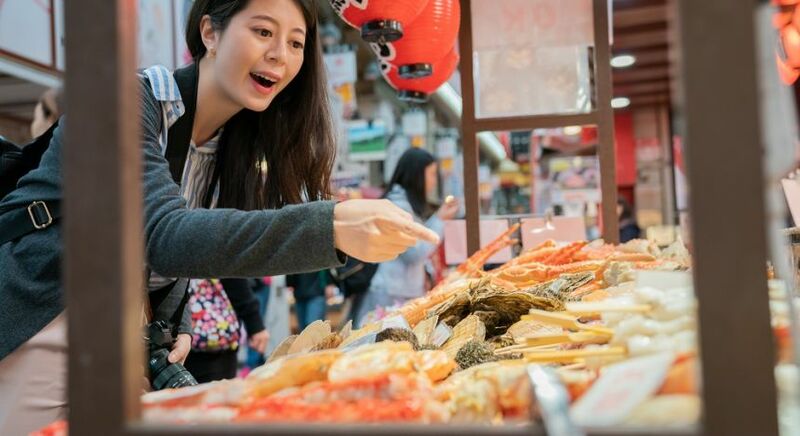 Osaka is a food lover’s paradise. As a consequence, many of the city’s streets are filled with reasonably priced stalls and vendors whose food rivals that of any restaurant. 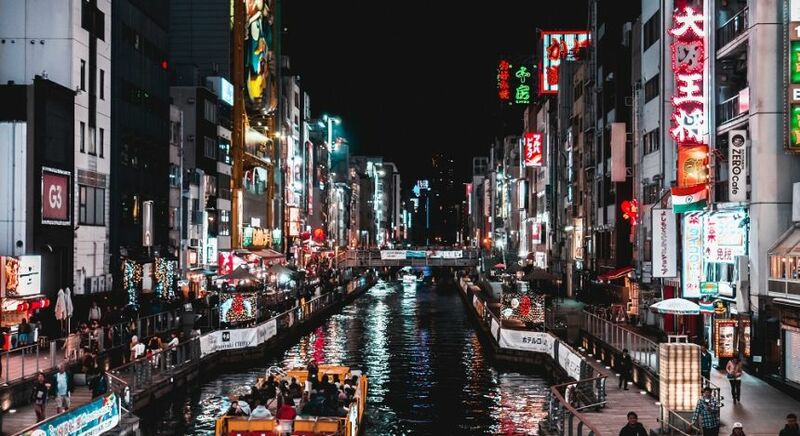 To experience this at its best, visit the vibrant Dontonbori district – an area of the city which has been popular with travelers since the 1600s. To this day, the sights, sounds and smells of the area will be a treat for the senses. There are so many food stalls and restaurants, you will be spoiled for choice. 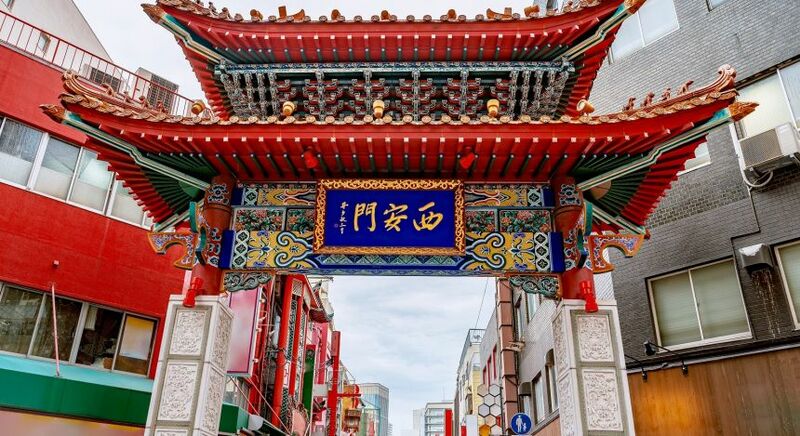 The street is legendary, and eating here is perennially one of the most popular things to do in Osaka. There is a Japanese word which is often used to describe Dontonbori: “kuidaore”, which, roughly translated, means “eat till you drop”. This is very accurate. If you come to Dontonbori hungry, you’ll leave more than satisfied. Kabuki theater is known for stylized drama and for the elaborate make-up worn by some of its performers. It’s the only museum in the world to feature a permanent exhibition of prints dating back to the Samurai era. The Kamigata Ukiyoe Museum, located near Namba Station is the only museum in the world to feature a permanent exhibition of Kamigata woodblock prints, many of which date back to the Edo Period of Japan – the time of the Samurai. Though it is a relatively intimate and small museum, the beautiful artifacts on display make it more than worth the visit. It’s the perfect accompaniment to visiting a Kabuki play, as many of these woodblocks depict Kabuki performers or plays. This view isn’t the only reason to visit the building – there is a bar, a cafe, and even a cinema. The Umeda Sky Building is a modern architectural marvel. It consists of two large towers which are connected by a bridge on the 40th floors. The bridge, otherwise known as the “floating garden observatory”, offers stunning and panoramic views of Osaka. As the Umeda Sky Building is the tallest building in the area, the view is virtually unobstructed. This view isn’t the only reason to visit the building – there is a bar, a cafe, and even a cinema. Most interestingly, in the building’s basement, there is a restaurant decorated like a street from Japan’s early 20th century Showa Era. You’ll be able to visit recreations of the Great Barrier Reef to Antarctica in a matter of minutes. 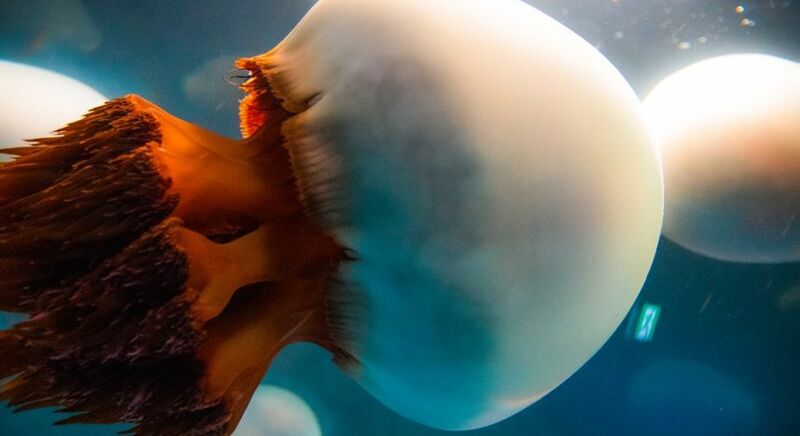 If you are fascinated by sea life, then the Kaiyukan Aquarium simply must be on your list of things to do in Osaka. 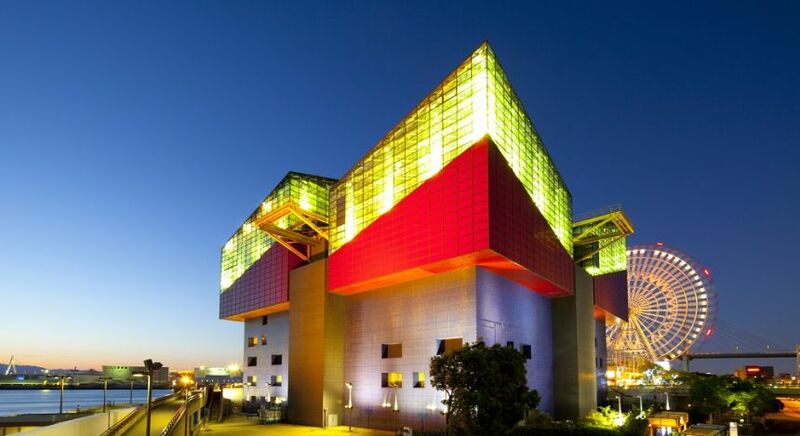 It is the world’s largest aquarium. Many of the tanks and enclosures are impressively designed to mimic some of the world’s most important and diverse regions of sea life. 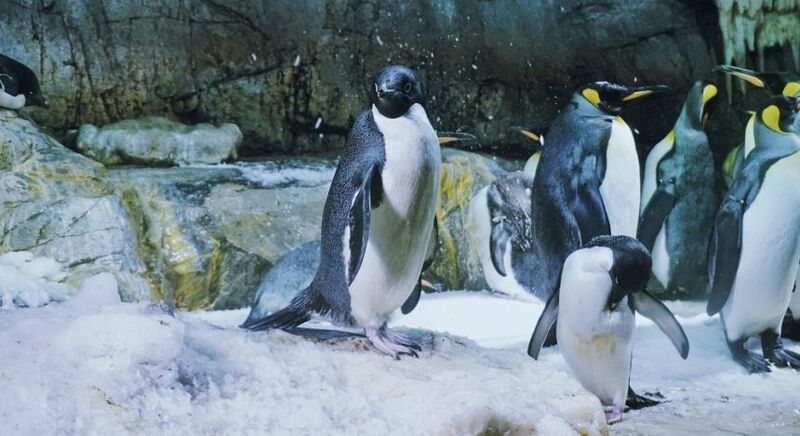 In the Osaka Kaiyukan Aquarium you’ll be able to visit recreations of the Great Barrier Reef to Antarctica in a matter of minutes. Discover the many species of endemic birds at the Nanko Bird Sanctuary on Sakishima Island. 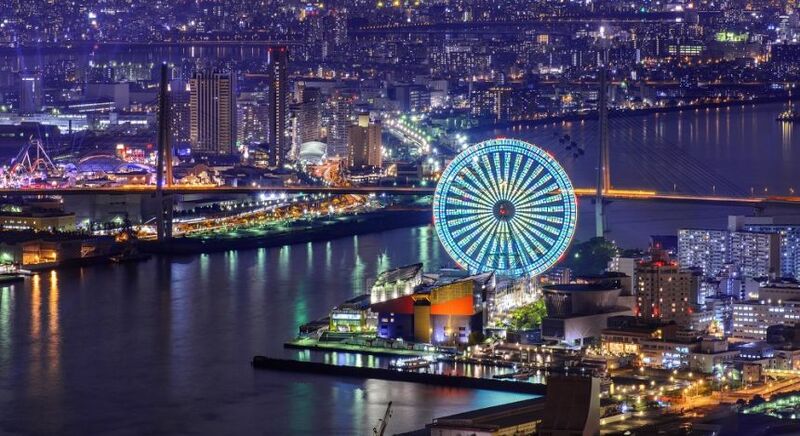 The Osaka Bay is composed of a number of sprawling peninsulas and islands (some man made), filled with attractions. Some of these are great ways to escape the city’s hustle and bustle, such as Nanko Bird Sanctuary on Sakishima Island where you can see and learn about the many species of bird which call Osaka home. 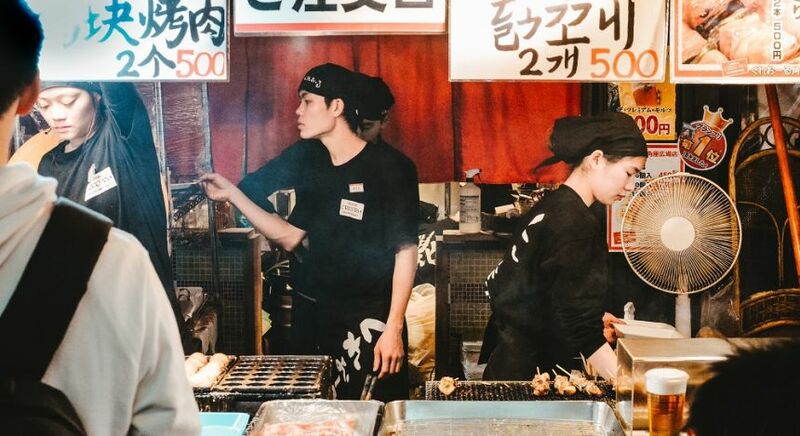 If you want something more vibrant, visit Naniwa Food Theme Park where you can enjoy a variety of Japanese dishes in an old fashioned atmosphere. 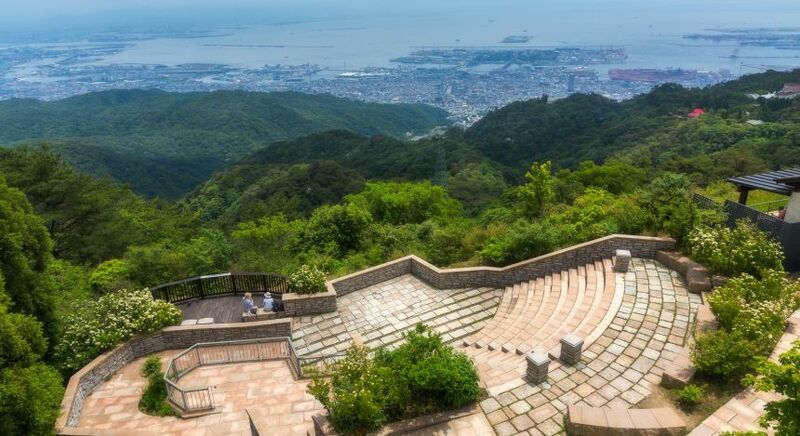 Take a cable car to the summit of Mount Rokko, which offers stunning views of Kobe and the surrounding area. 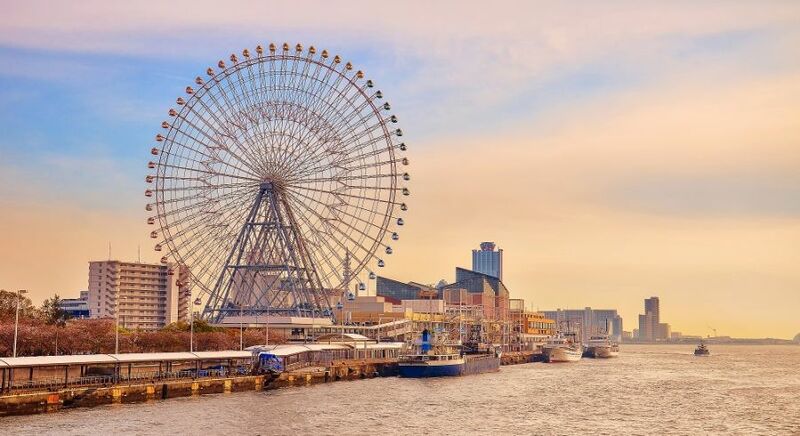 If you want to experience another city in the area, visiting the port city of Kobe can be a fun addition to your visit to Osaka. 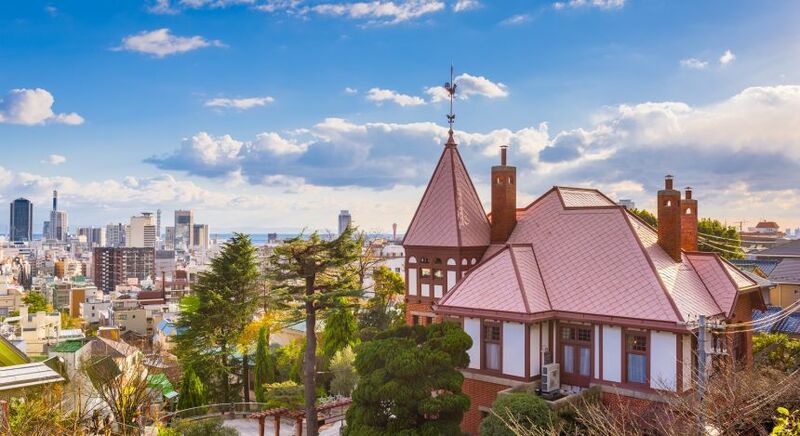 From Kobe, you can take a cable car to the summit of Mount Rokkō, which offers stunning views of Kobe and the surrounding area. From there you can spend a few hours relaxing in the warm waters of Arima Onsen hot springs. 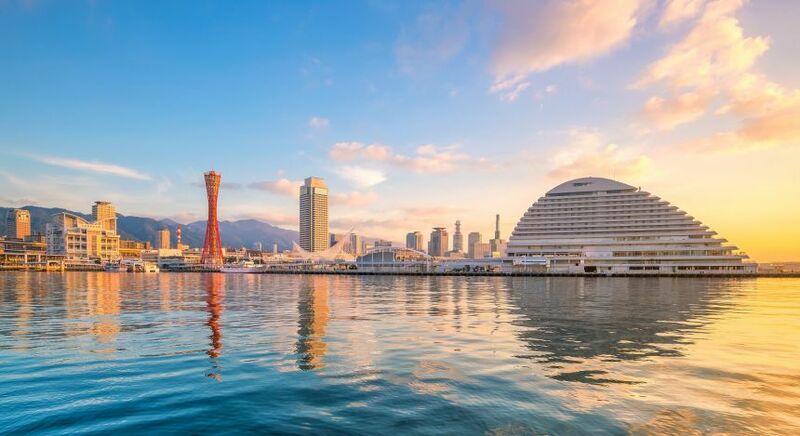 These are just two of the many reasons to enjoy a great day out in Kobe. 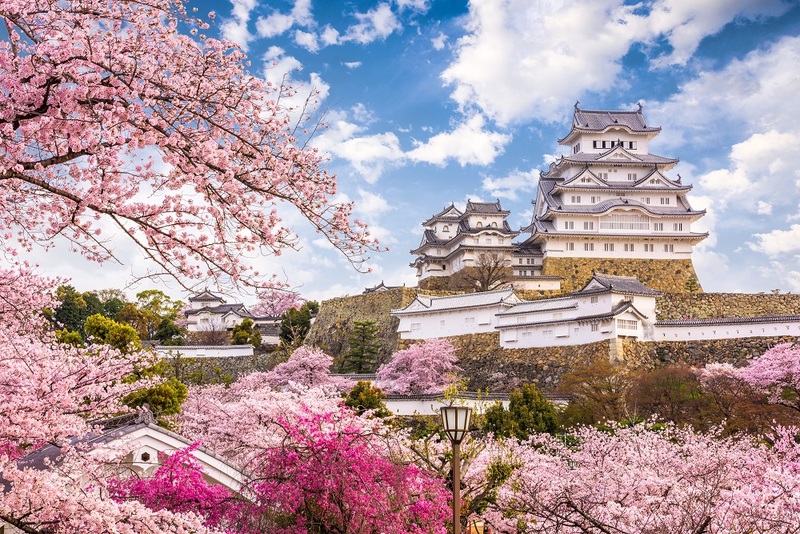 Visit the Himeji Castle, a grand 17th century building overlooking the town. 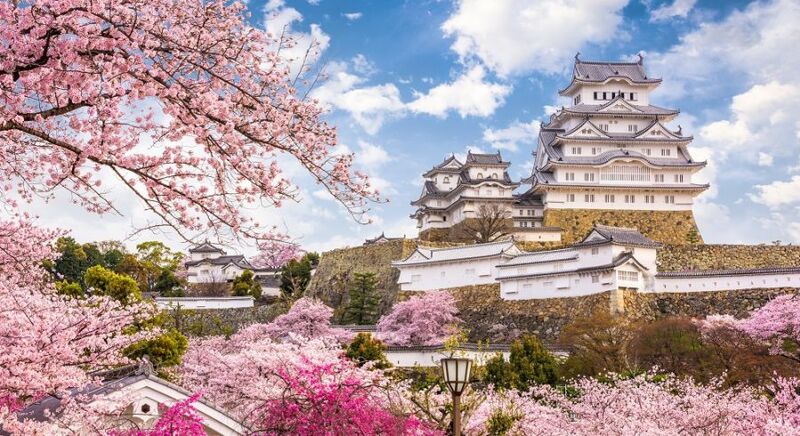 If, after all of this, you still want to enjoy some more of Japanese high culture and history, you may find visiting the grand city of Himeji to be worth your time. The city is known for its immaculate 17th century castle which overlooks the town. Near the castle rests the 9th century Shoshazan Engyō-ji Temple, a gorgeous Buddhist temple at the summit of Mt Shosha. For these reasons, visiting Himeji can be a great way to experience the splendor and culture of old Japan. Definitely a must visit if you have enjoyed Osaka Castle. All of the above examples are but a small sample of the many things to do in Osaka. From high culture and religious devotion, to vibrant nightlife, in Osaka, you can enjoy the best of Japan. If you choose to book with us, you’ll be able to enjoy it stress-free in a vacation tailored to your tastes.